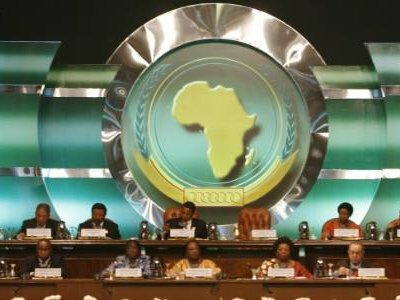 The African Union, AU, has urged the interim authorities in Egypt to ensure the broadest possible participation in the country’s forthcoming elections and make the polls free, fair, and transparent. The AU Peace and Security Council, PSC, met at the level of heads of state and government and requested the AU Commission, AUC, to engage the Egyptian authorities on how best the AU can monitor and observe the electoral process. The council also discussed the situation in the North African country, and reiterated Africa’s solidarity with the people of Egypt, noting that their aspiration for democracy, the rule of law and well-being were consistent with the relevant AU instruments. It also reiterated AU’s commitment in line with its duty and responsibility towards its member states, to assist Egypt in overcoming the challenges confronting it in the spirit of pan-Africanism and the search for African solution to African problems. In a communiqué issued after its 416th session, the PSC commended the AUC Chairperson, Nkosazana Zuma, for the steps taken to follow up on its past decision, notably the swift establishment of a High-Level Panel for Egypt. The Council commended the Panel and its members, namely former Malian President, Alpha Konaré, former Botswana President, Festus Mogae, and former Prime Minister, Dileita Dileita, for their commitment and efforts in the discharge of their mandate. According to the communiqué, the PSC noted steps taken by the interim authorities in the implementation of the road map for the transition that they outlined on July 3, 2013. The road map spelt out the adoption of a new constitution, through a referendum held on January 14 and 15, and the decision to hold presidential elections which would be followed by legislative elections within a period of 60 days. South Africa – is Nkosazana Damini-Zuma to abandon AU for a seat in parliament? Posted on 31st January 2014 by newsafrica. This entry was posted in Africa, African Security, African Union, Democracy, Egypt, Human Development and tagged Africa, African Union, Astronomical unit, Brooklyn Museum, Egypt, Festus Mogae, Peace and Security Council, PSC. Bookmark the permalink.